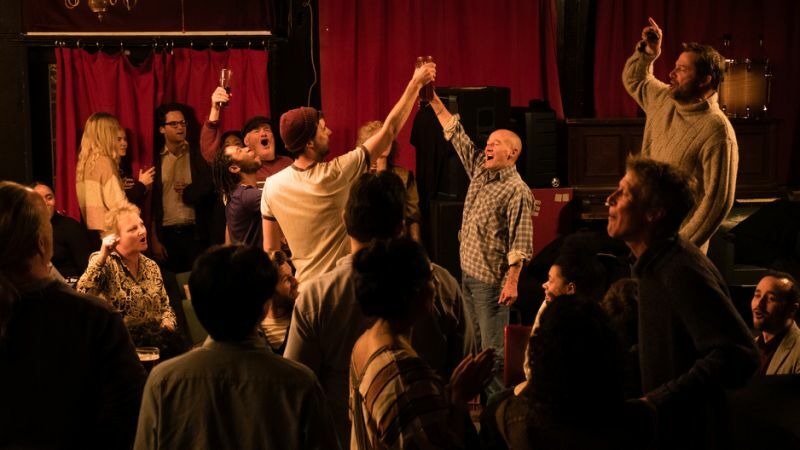 With its knowing approach to the material, and a script that takes the time to add moments of poignancy to the mix, the movie is a celebration both of the sea shanties that the men sing and the tradition that keeps them from being forgotten. Again, the music is secondary to the feelings it evokes, and through the perfectly gauged performances, this appreciation is explored through a number of fine renditions that prove infectious and affecting. 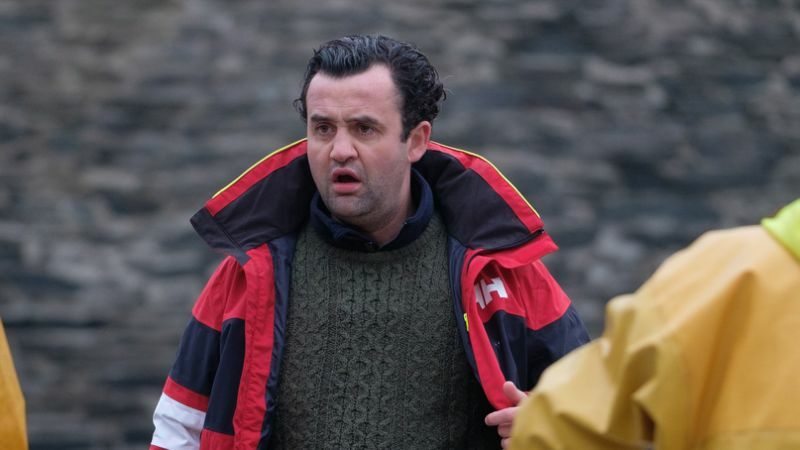 Mays is particularly good as the (entirely apt) fish out of water, succumbing to the love of a good woman, and the simple pleasures of Cornish life, while Purefoy makes more out of Jim’s sour demeanour than could have been expected; there are depths to his portrayal that aren’t necessarily in the script. With a number of minor sub-plots to round out the material, the movie isn’t afraid to explore more meaningful areas, such as absentee fathers, the perceived betrayal of a community, and the serious nature of what the men do away from singing. It’s ultimately light-hearted and often as whimsical as these things are usually, but Foggin ensures that it’s sprightly and entertaining in equal measure, and no one aspect of the narrative overwhelms all the others. A distinct and effective crowd pleaser, its message couldn’t be clearer: that heritage and tradition still have a vital role to play in modern day communities. 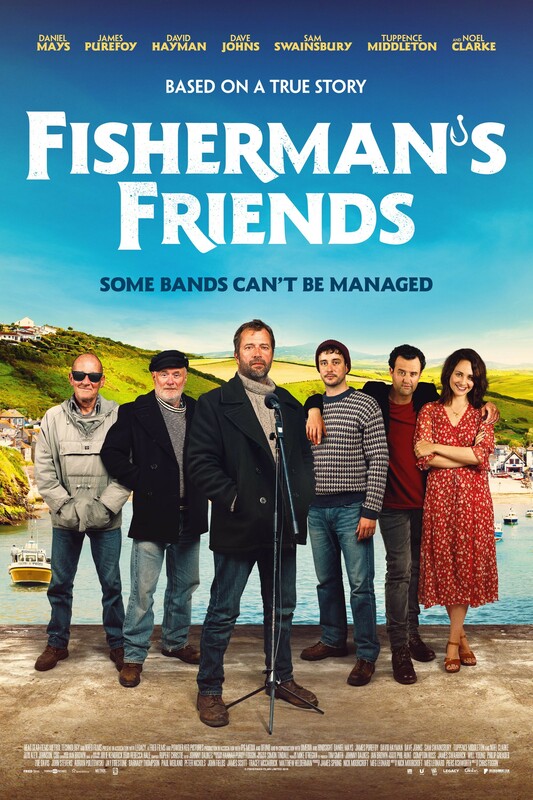 Rating: 8/10 – rousing, rambunctious, and hugely likeable, Fisherman’s Friends tells its story simply and with a great deal of subdued, yet appropriate style; beautiful Cornish locations and sterling cinematography by Simon Tindall add extra layers of charm to the material, and though it treads a very familiar path – Danny makes as many mistakes as he gets things right on the way to a hit record – this doesn’t detract from the sheer enjoyment to be found in such an unassuming movie.